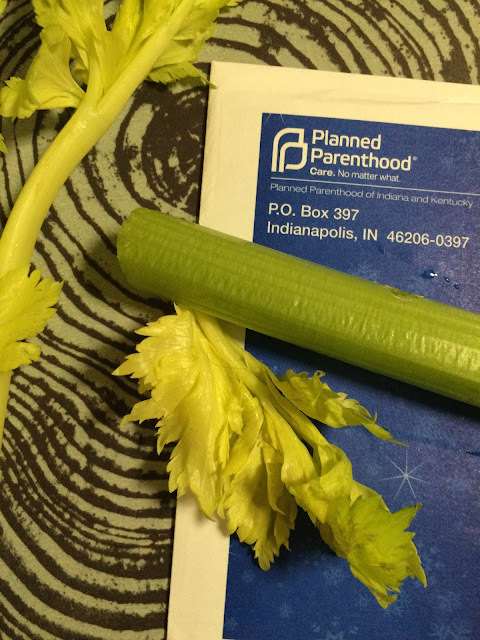 We have some support for Planned Parenthood and some beautiful celery this week. This unexpected combo really gets me geared up to cultivate authenticity and creativity today. I'm going to try to be extra nice to the Thirdlanders today. Yesterday I was a wee bit on the cranky side. I'll just look at this #TwinTuesday whenever I'm feeling out of sorts today and I'll get back on track. You can do the same thing if you want to.